What is in My Bag? Shudder. So Toni at Bowl Full of Lemons has this absolutely adorable blog party goin’ on and I thought it would be so much fun to join in! 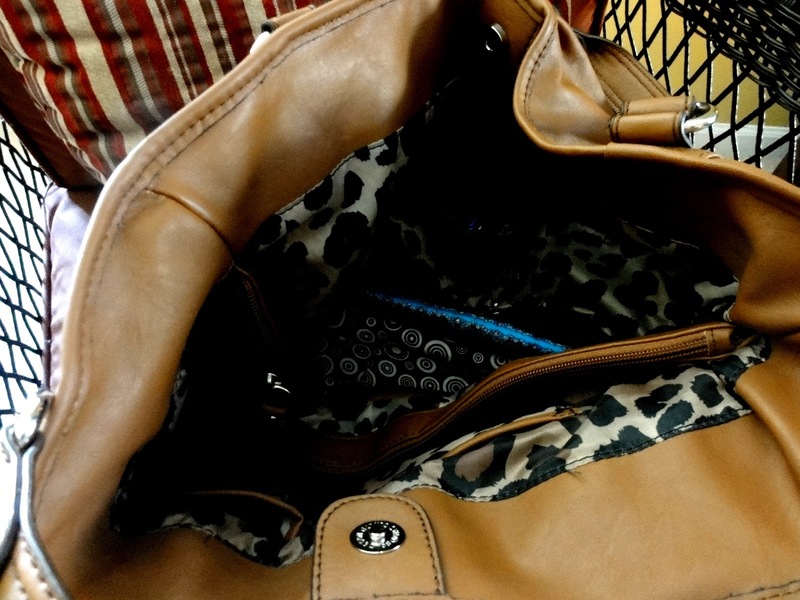 It is all about what you carry in your purse and what it says about you. I love this idea and thought you might like to join in so go here to take the quiz first then I will tell you my results and show you what is in my bag! *The party is over. Wah Wah. But here are my results anyway! You tend to be relaxed throughout the day. You are naturally at peace. This is not me at all. You are a high maintenance person. You feel lost outside of your normal environment. You are open and comfortable with who you are. You don’t hide anything. For the most part except that I moonlight as a supermodel. You are an organized and together person. You are competent and successful. I would agree and yes successful in my own little ways. You are practical and down to earth. You tend to be a rather reserved and quiet person. Practical and down to earth? Yes. reserved and quiet?? Not even close. 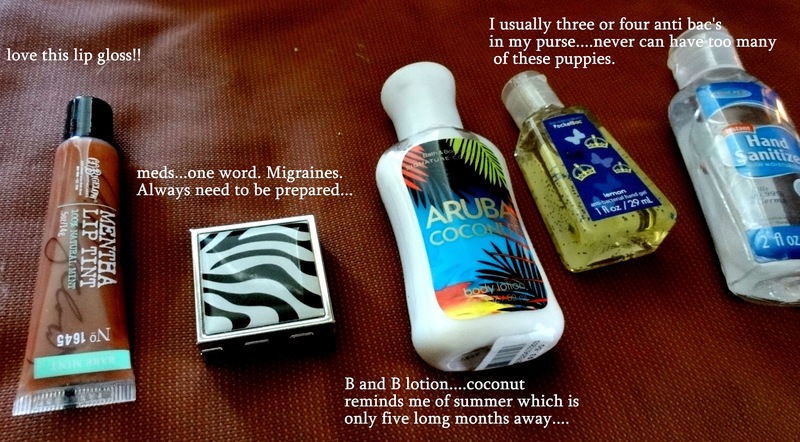 So a fun little quiz to take on this cold January day and here is what is in my bag. This bag is my new favorite thing! My mom got it for me at a huge after Christmas sale at Carson’s for 60% off! Love. love. 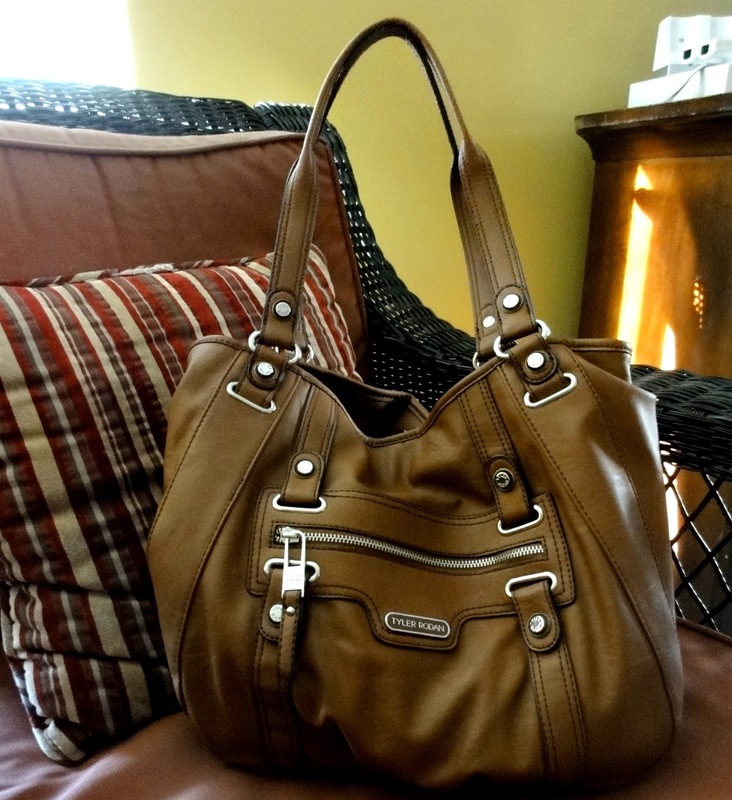 love this bag. I am not normally one for animal print but I love this AND it came with a matching umbrella that fits inside the purse! Do I have the world’s most boring purse innards or what?? Thanks for joining me in my purse today. I hope you had fun and join me next week when I take you in my underwear drawer. Although, a junk drawer link party would be kinda cool! I will do that! Thanks for having me! Ha ha ha- I started cracking up when you said to join you for the underwear drawer! Ha ha! Mine would be so ridiculous . . . too embarrassing to share! 🙂 You seriously have the world's cleanest and most organized purse (which by the way, your bag is FANTASTIC! I love it!) . . . it puts mine to shame! Hope you having a good day! Thanks Camille!! Its always good to have you visit! 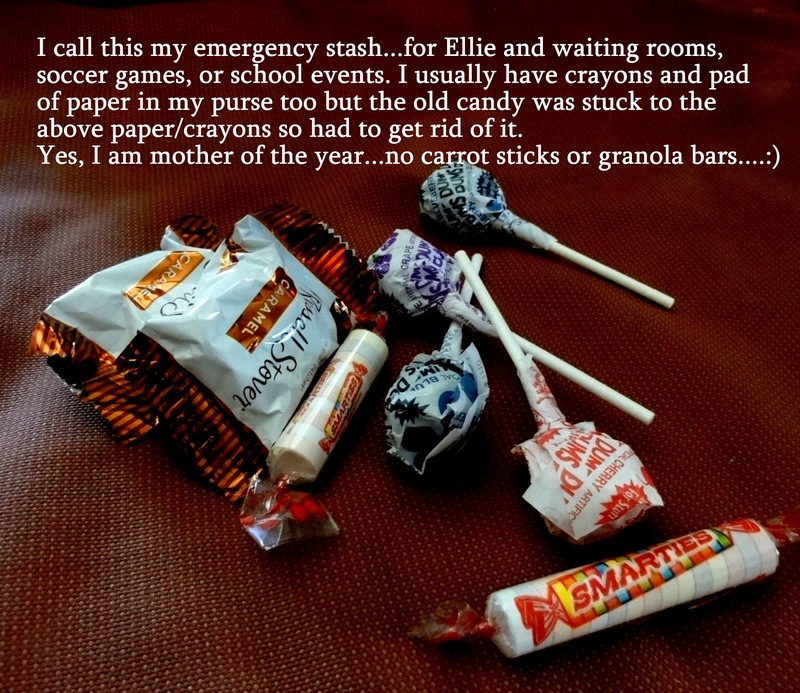 ha ha..i have to do this..i have an emergency stash too!! 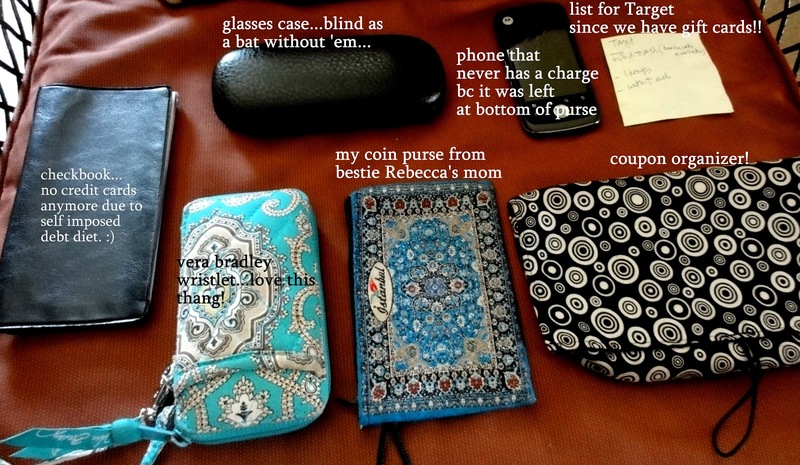 I love all the different patterns you have going on in your purse!!! New follower from A Bowl Full of Lemons.